NORTH PARK — They were the kings of Chicago Rock and Roll, ruling the airwaves of mega rock radio stations WLS and WCFL during the late '60s and early '70s. Their music was the soundtrack to the teenage years of a generation, with songs like "Kind of a Drag," "Sugar and Spice," "Vehicle," "Bend Me Shape Me" and the gritty rock anthem, "G L O R I A." On Friday, for one magical evening, they were back together, again performing like it was 1967 as part of WTTW’s "Cornerstones of Rock: American Garage." The show, to be aired perhaps as soon as December on Channel 11, was taped at the historic Grainger Studios, 5400 N. St. Louis Ave., where 40 years ago WTTW created the iconic "Soundstage" music series the show. 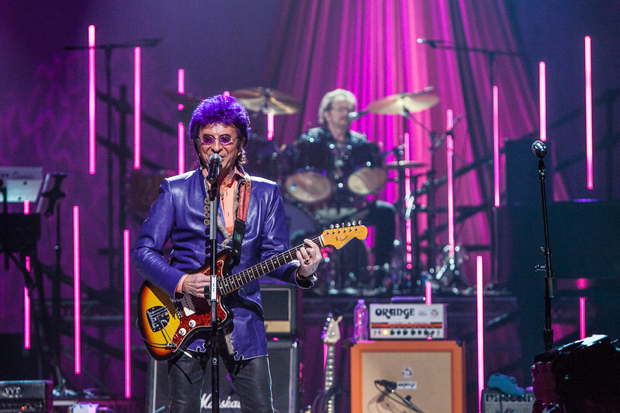 It was directed by Joe Thomas and hosted by Jim Peterik (The Ides Of March, ”Vehicle”) and WGN radio personality Wendy Snyder. Arcada Theater music impresario Ron Onesti opened the show. The night brought together many of the original members of the groups who rose from sock hops and teen clubs to national, even international fame. Even the “Bad Boy of Chicago Rock and Roll," the lead singer of The Shadows of Knight, Jimy Sohns, was there. It was what could only be described as a love fest between the sold-out audience and the performers they passionately followed from high school sock hops to teen clubs like The Cellar and Wild Goose. Some of these rockers haven’t seen one another in over 40 years. However, it was evident when they first set foot on the rehearsal stage and saw each other that this was a very special fraternity of men and musicians. Sure, some have put on a bit of weight and the flowing locks have long ago turned gray or disappeared. But they can still play and sing like they were back performing at St. Pat’s on a Friday night or a homecoming dance on the South Side. For Sohns, who tours consistently and is coming out with an album of new music, the evening was a fantasy compared to what he envisioned 50 years ago as a kid in Prospect Heights. “To tell the truth, I didn’t think I’d make it past 30. God knows I tried to shorten things. But, here I am … playing to new audiences, recording new music and living in the suburbs," Sohns said. Skip Haynes (Aliota Haynes Jerimiah), who penned the iconic homage to Chicago’s lake front highway, Lake Shore Drive, now lives in Los Angeles and records independently. But he spends most of his time supporting causes through non-profits he’s started. He and surviving member Ted Aliota sang "Lake Shore Drive" with The Ides Of March as a tribute to the group’s members who have died, Mitch Aliota and John Jeremiah. Looking back over the years, to a man, each of these musicians said they had no idea that what they were doing for fun would become an historic moment in Chicago music. “All we wanted to do was get dates with the cheerleaders. We’d learn a couple new songs each week and go out and play them wherever we could. 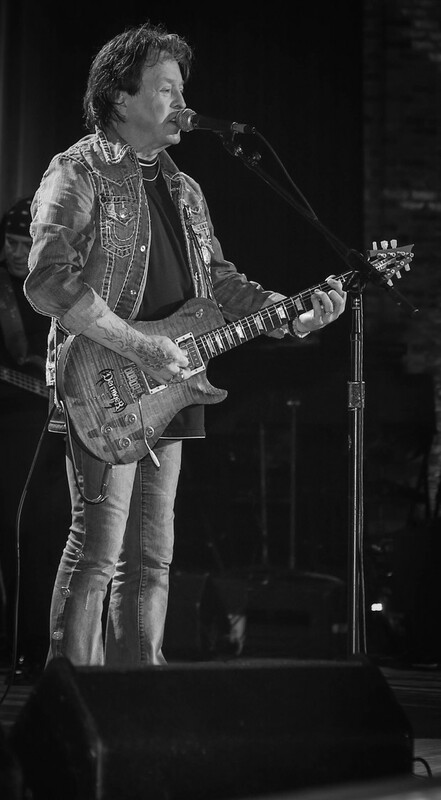 It’s called 'Cornerstones of Rock: American Garage' because that’s what we were and, still are … except now, we’re garage bands who grew up,” Peterik said. Tom Doody, lead vocalist for The Cryan Shames, has retired in Southern California after a successful career in real estate. He occasionally tours and takes part in reunions of The Cryan Shames and echoed Peterik’s sentiments about the early days. “We didn’t know anything about recording or the technical aspects of music. We just wanted to do the best we could," he said. As evidenced by the multi-layered, choir-like harmonies that they were famous for, the Cryan Shames "practiced a lot," Doody said. "All the guys in the bands were close but, we were very competitive as well … competitive in a good way though. It was that competition that lead us to make better music,” Doody said. Several of the musicians have continued to prosper in the music business. Tufano still sings the songs that gave The Buckinghams five national hits. “In the beginning all we wanted to do was make enough money to quit our day job and meet the girls. I never thought that we’d be performing past our 30s but, here we are, 30 years past that and still going strong,” Tufano said. Gary Loizzo, lead vocalist for The American Breed, gave up performing 40 years ago to be a Grammy-award-winning music producer of many of the early Styx work among other groups, and only recently retired. Ray Graffia, one of The New Colony Six founders, and their lead vocalist Ronnie Rice still tour, individually and with others, including Dartanyan Brown of the '70s brass powered group Chase. As the audience filed out it was obvious from their expressions that, even though they may have started with hopes of meeting girls and making a few bucks, these Cornerstones of Rock left us with so much more: songs and memories that have and will be with us for a very long time.